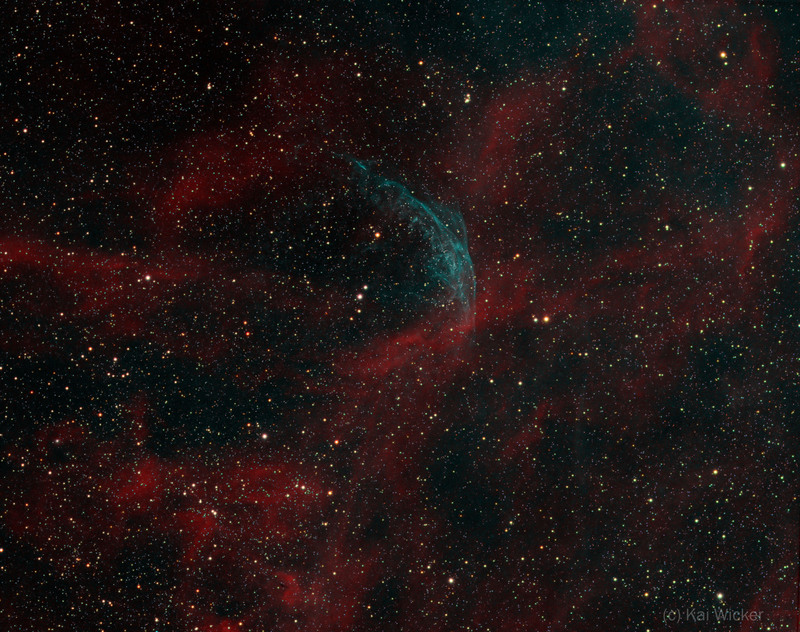 Find here the collection of my photos of nebulas taken with narrowband filters. Most of them are bicolor of in Hubble palette. Remark: More details in German. 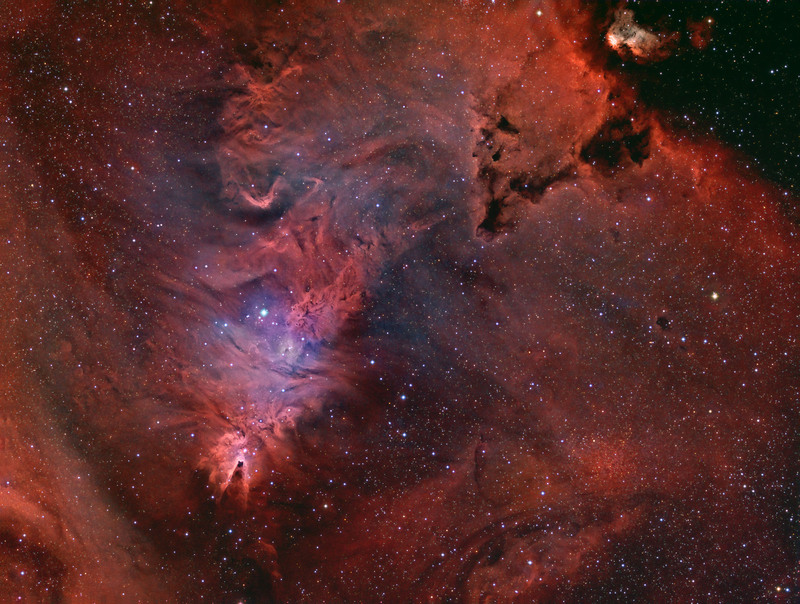 Remark: Cone Nebula region in the north of Monoceros. More: see picture page. 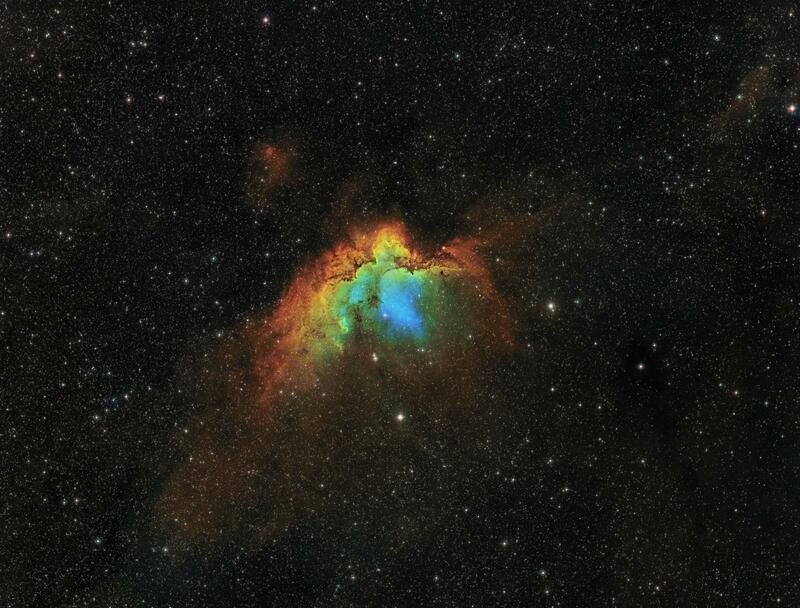 Remark: Sh2-129 is a relatively faint emission nebula in Cepheus. 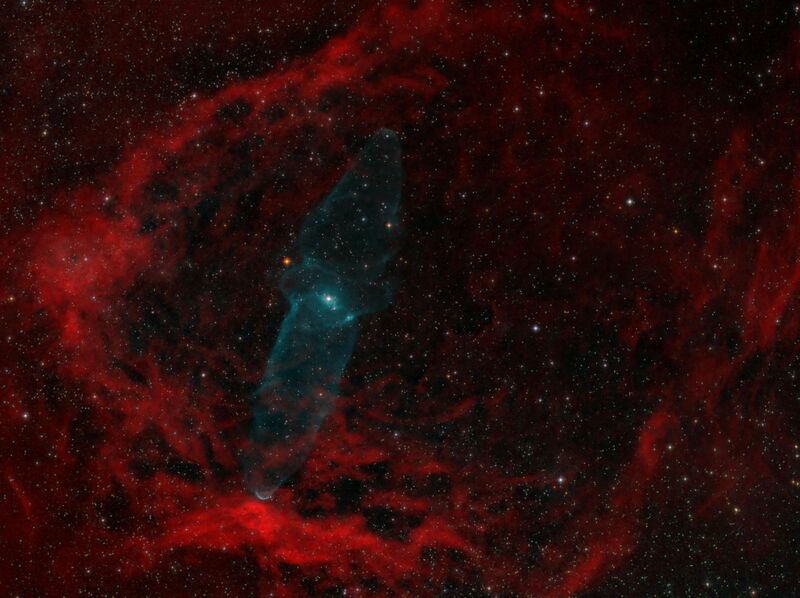 Remarkable about this region is a recent discovery made in 2011 by Nicolas Outters, called the „Squid Nebula“.AdW 06/2018. More info: see picture page. Remark: NGC 281, IC 11 or Sh2-184 is a bright emission nebula and part of an H II region in the northern constellation of Cassiopeia and is part of the Milky Way’s Perseus Spiral Arm. 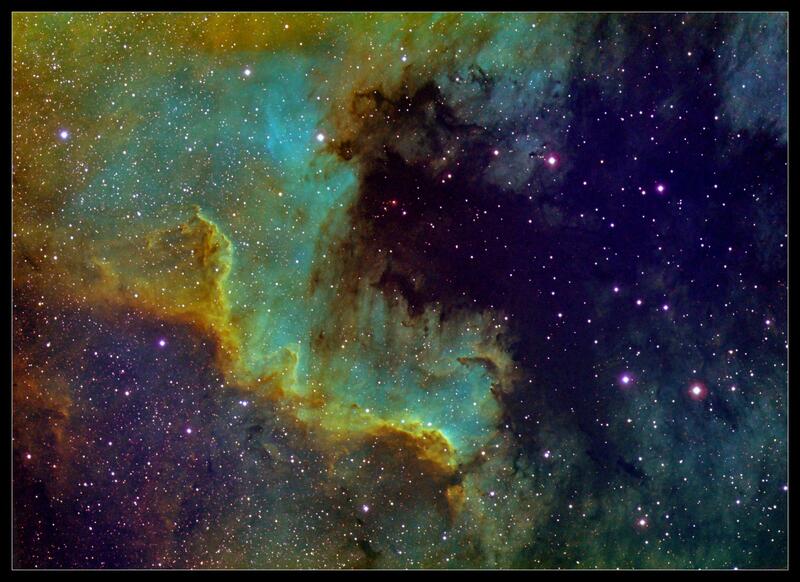 This 20×30 arcmin sized nebulosity is also associated with open cluster IC 1590. 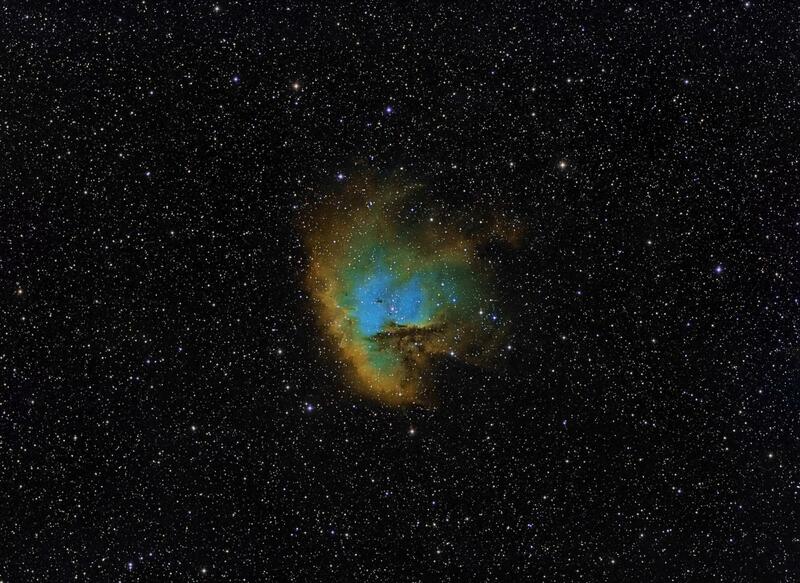 NGC 281 is also known as the Pacman Nebula for its resemblance to the video game character. 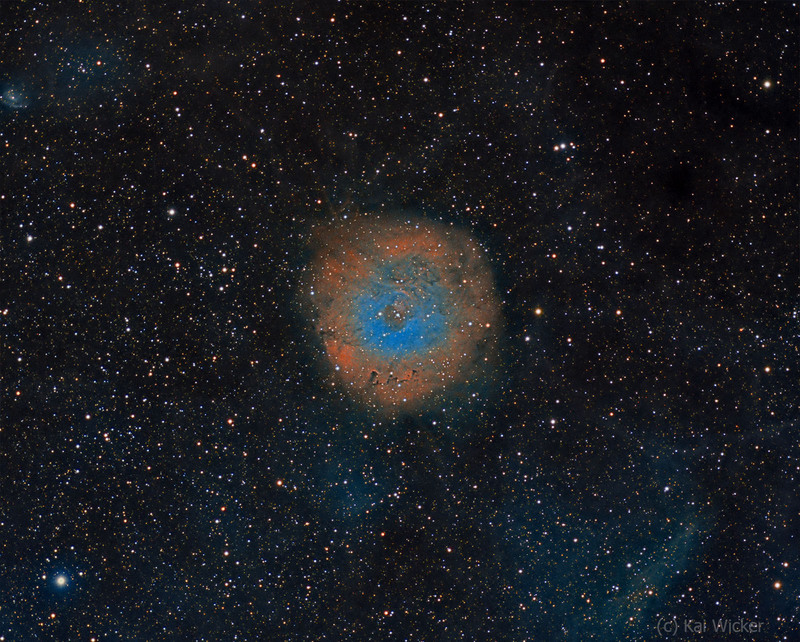 Remark: NGC 7380 is a star cluster embedded in a nebula sometimes called the Wizard. More: see picture page. 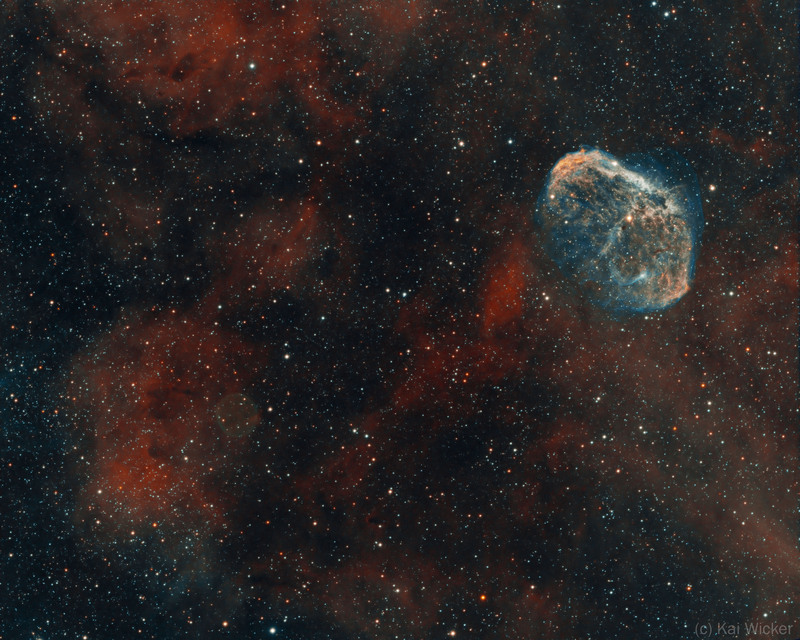 Remark: The Crescent Nebula is an emission nebula in the constellation Cygnus, about 5000 light-years away from Earth.